Between sipping tea at sidewalk cafés and tiptoeing through the Tuileries, I created Tranquillité in a Paris apartment overlooking the Eiffel Tower. Bursting with notes of gardenia, jasmine, sweet musk, rose, and sandalwood, it’s a girly delight. The original creation is shown above and here’s a peek at my parfum class. Compared to L’Instant de Guerlain by my teacher, I find the scent to be an intoxicating blend of all things tranquility and an homage to Parisian style. Each ingredient was carefully chosen to represent the different aspects of who we are—earthy, sweet, floral, and fragrant. Dab or spritz to evoke a connection to your playful spirit and a reminder of self-love. Parfum oil ships globally. Eau de toilette available in contiguous US only. Free of dyes and animal testing, Tranquillité is a blend of essential and fragrance oils from France. We don’t use real musk as it comes from animals and we love animals! The parfum oil is a delicate blend of luxurious jojoba oil and sweet almond oil. Jojoba oil moisturizes skin while almond oil is anti-aging and nourishing. 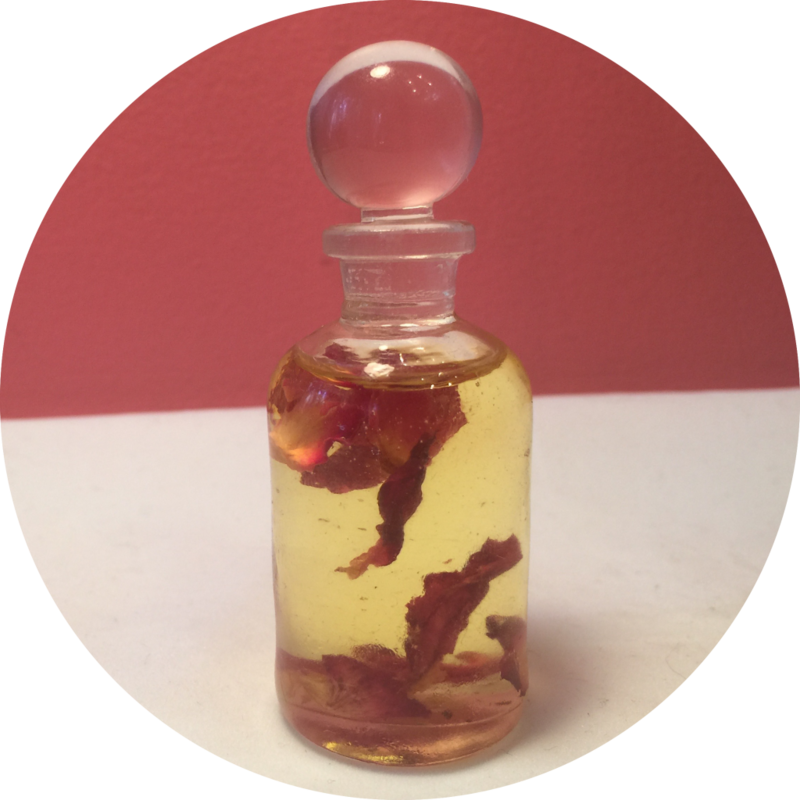 Organic rose petals float freely in your small-batch handmade parfum oil creation. 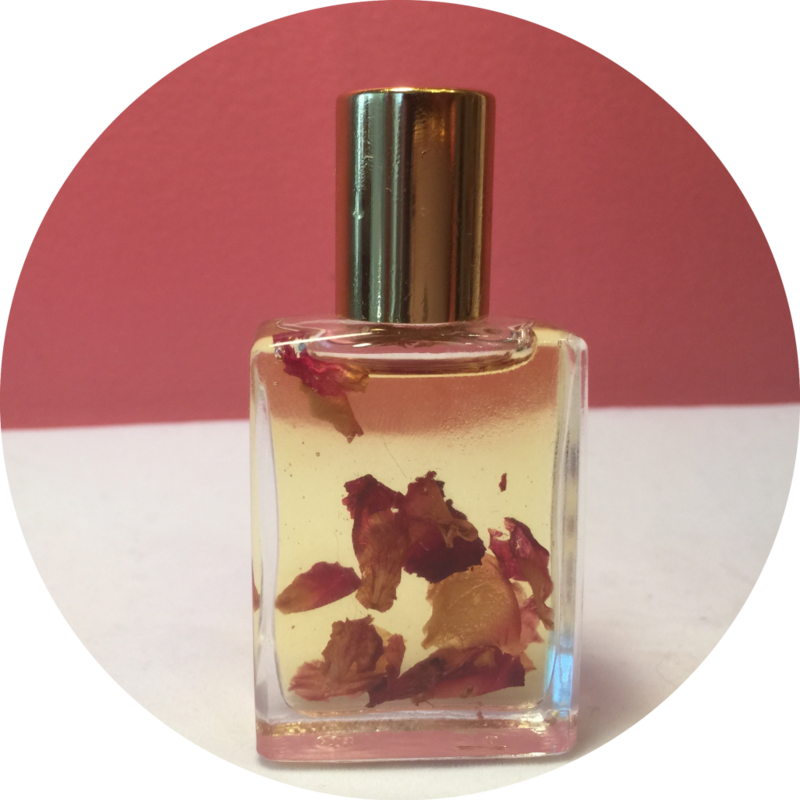 Roll on parfum oil: This clear square bottle is a roll on with a gold cap and filled with Tranquillité parfum oil infused with organic rose petals. Perfect for your purse. Your new parfum arrives in a black velvet pouch sprinkled with organic rose petals. 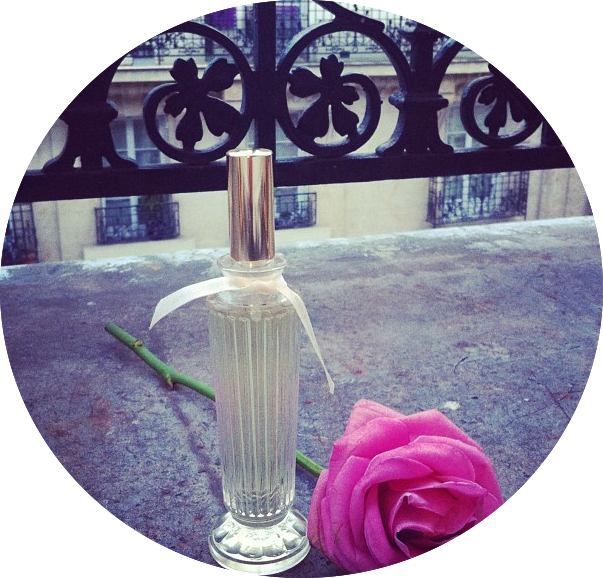 Apothecary parfum oil: This clear apothecary style bottle has an elegant round stopper and looks great on your vanity. Includes a sealable dropper bottle for refilling or travel. Your new parfum arrives in a black velvet pouch sprinkled with organic rose petals. 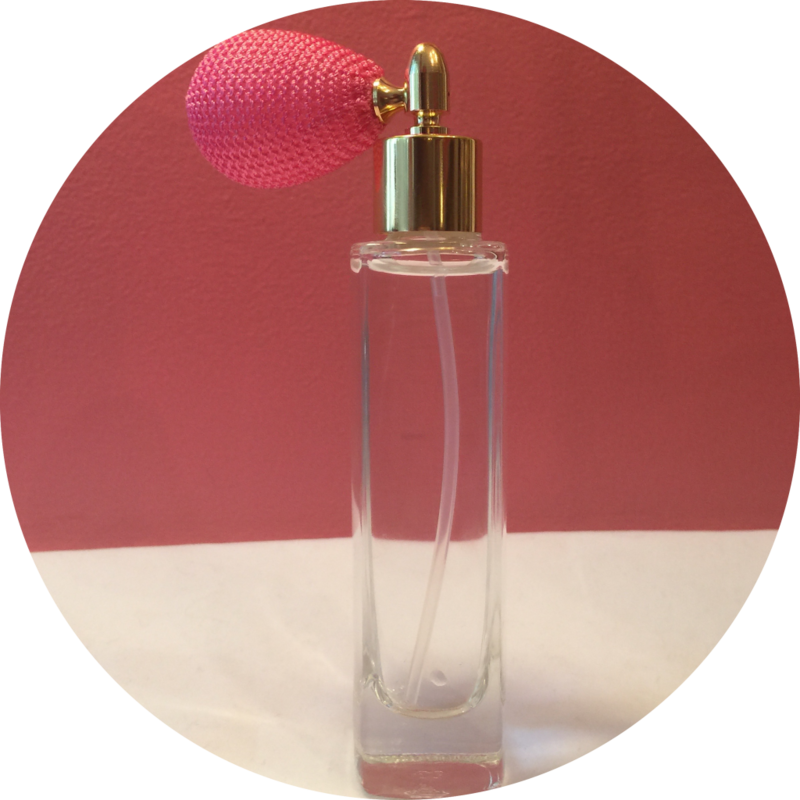 Eau de toilette tower: This clear glass slim bottle has a pink bulb sprayer and gold fitting filled with Tranquillité eau de toilette. Your new parfum arrives in a box sprinkled with organic rose petals. Only available in the contiguous United States. The parfum oil will ship via USPS Priority Mail and is available for delivery within the contiguous United States, international locations, U.S. territories, Alaska, Hawaii, P.O. boxes, and APO/FPO addresses. Express ship methods are unavailable. The eau de toilette will ship via ground and is only available for delivery within the contiguous United States. Shipment to international locations, U.S. territories, Alaska, Hawaii, P.O. boxes, APO/FPO addresses and express ship methods are unavailable for the eau de toilette. A portion of all profits will benefit Tranquil Space Foundation and Farm Sanctuary and are handmade in small batches infused with love.